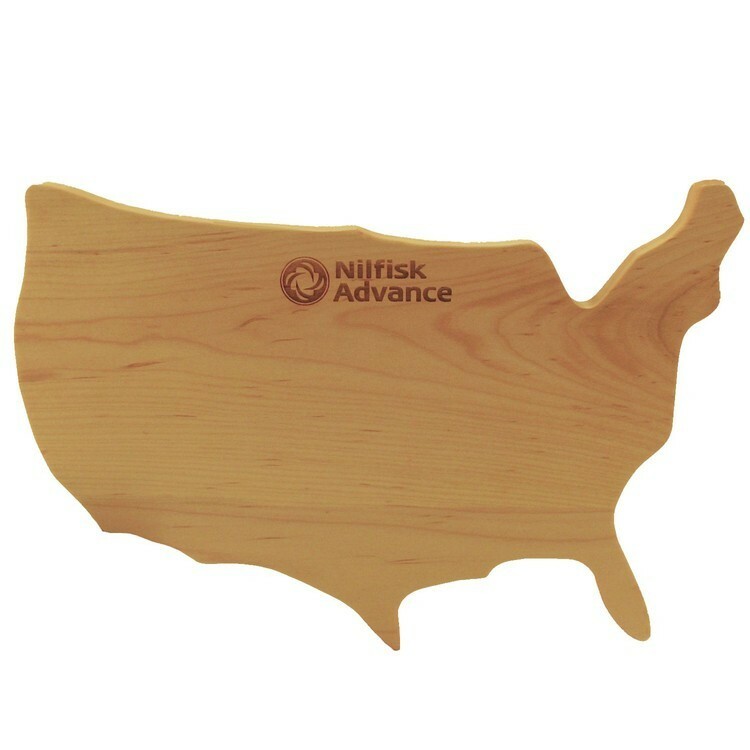 A USA shaped cutting board in 3/4" thick solid maple. When choosing wood you get the best and safest cutting board, and now it is also combined with style and beauty. Add your mark and enjoy. Pictured is the cutting board in the optional maple/walnut stripe at an additional cost.